The install file (version 1.1.4.301) is 293 KB. The Command-Line version is even smaller at 53 KB. On fresh install of Windows XP SP3, it only uses less than 6MB of memory. It is compatible with Windows 2000, XP, 2003 and Vista. Other requirement is the index drive needs to be formatted in NTFS. According to the FAQ, the indexing process will take about 1 second on a fresh install Windows XP SP2 (with approximately 20,000 files). 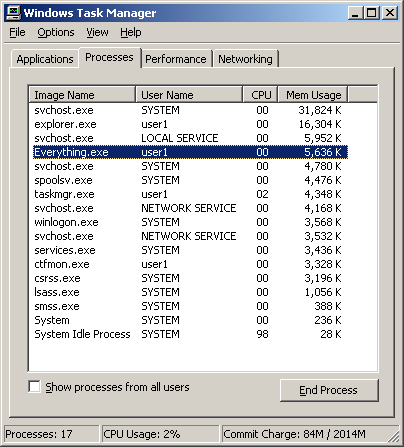 During testing, a Windows XP SP3 with 150 GB files (57,000 files and 8,400 folders) is used. It takes only few seconds to index the whole system. 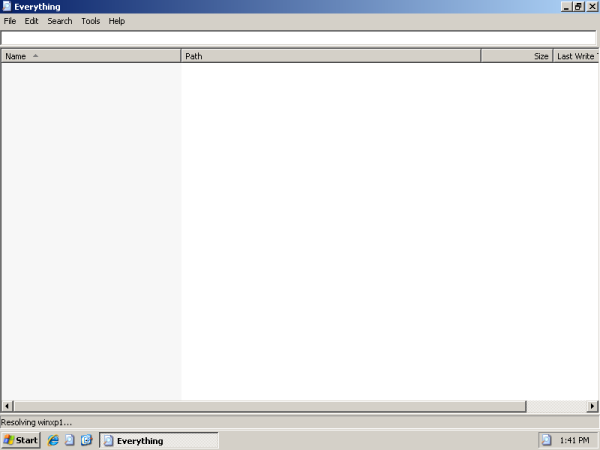 The program interface is simple with search field at the top of the main window. 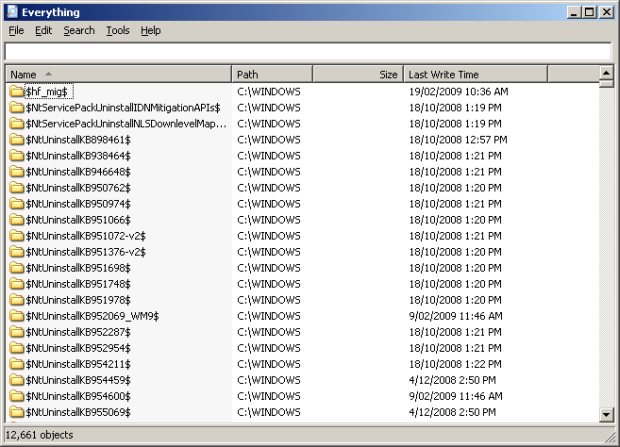 There is also a system tray icon for quick access of the program. 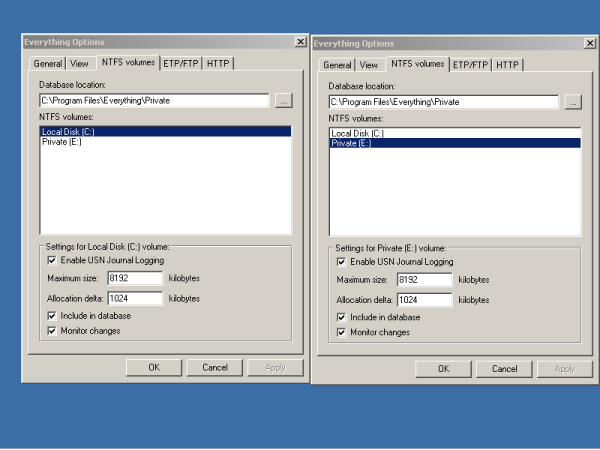 New Search Window, Start HTTP Server, Start ETP/FTP Server, Connect to ETP Server and Options are available by right clicking on the system tray icon. 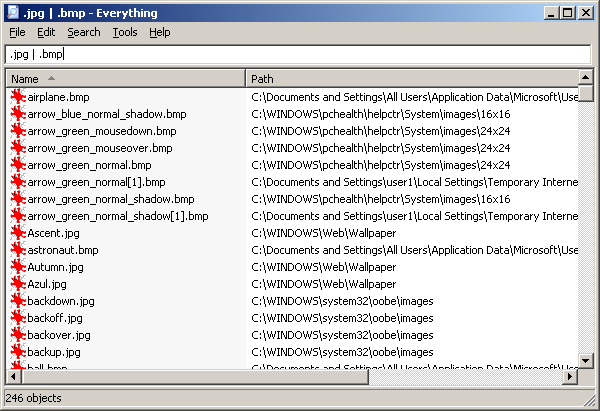 “Everything” goes beyond standard Windows search. Boolean operators, wildcard and regex can be used. For example, search for .jpg and .bmp (for Boolean) and match grey and gray (for regex search). The FAQ has extensive examples on how to perform these type of searches. One of the features is the ability to serve files via HTTP for other computers in the network. 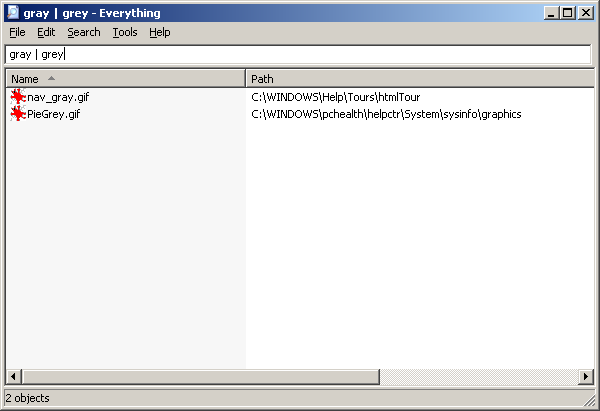 To enable HTTP, right click on the “Everything” system tray icon and select Start HTTP Server. 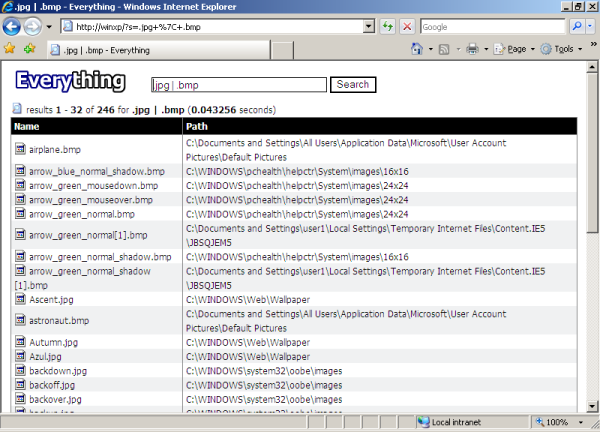 To access the files on PC that has “Everything” installed, just type in the PC’s name or IP address of the PC in the address bar of a browser (e.g. 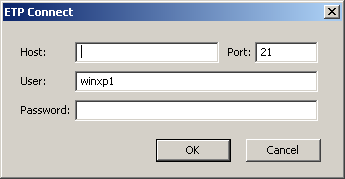 http://winxp or http://192.168.0.5). 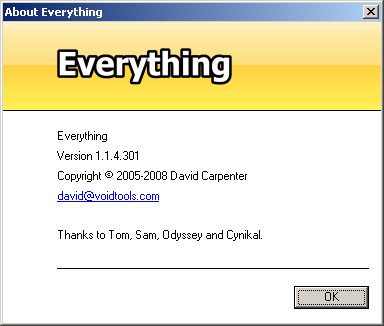 The main screen of “Everything” via HTTP displays similar interface. It consists of drive available (with total and free size of the drives) and the search bar. To search, simply type a word (or words) in the search bar and press enter (or click the Search button). To start a new search, simply click on the Everything logo which is located at the top left hand corner. The advanced search operators also work with HTTP search. If all computers on the network have “Everything” installed, direct connection can be established via ETP. 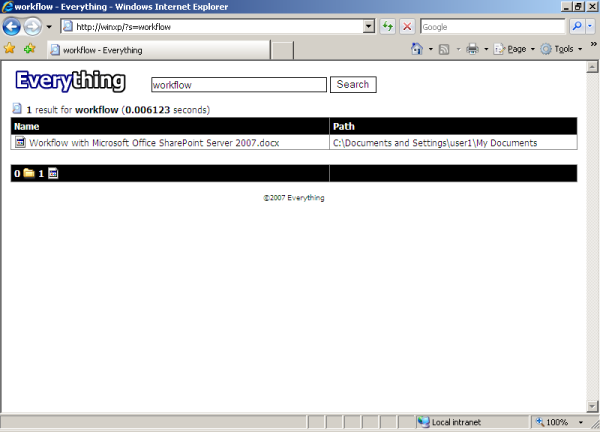 Once the ETP/FTP Server has been started, just right click on the “Everything” icon and select connect to ETP Server. When connected, browsing files on the remote computer is the same as browsing files on the local computer. Lightweight, configurable with advanced search features, “Everything” is great tool for searching today’s enormous hard drive. The interface is simple for novice user yet powerful enough for advance user who wants to do complex search query.